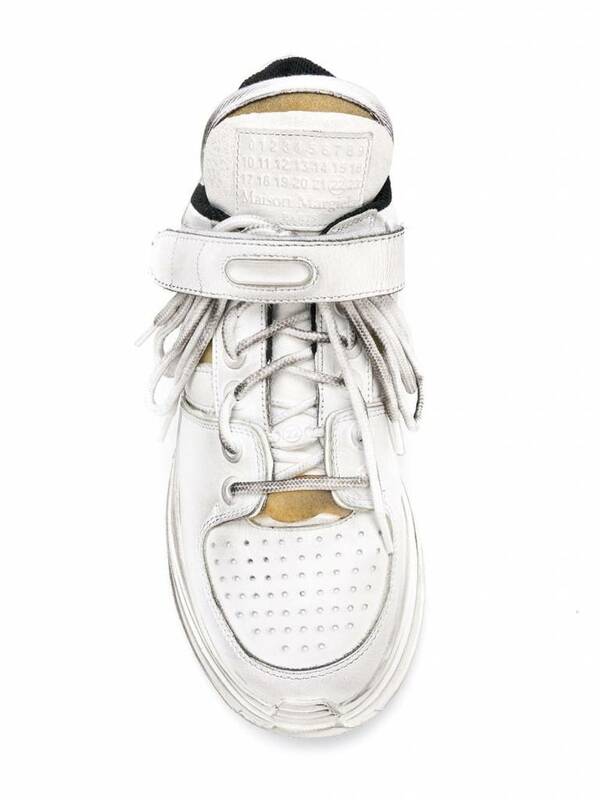 Enamoured with the idiosyncratic; enigmatic Belgian designer Martin Margiela set up his eponymous label in 1988 with a focus on progressive design that reinterprets the social norm. 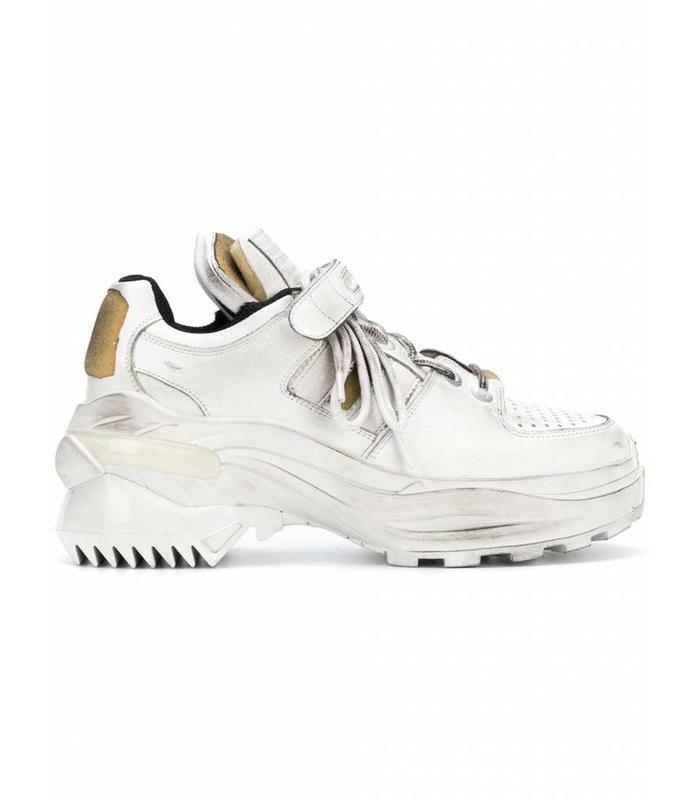 Continuing to build upon the label’s founding ethos, the present day label is currently helmed by British designer John Galliano. 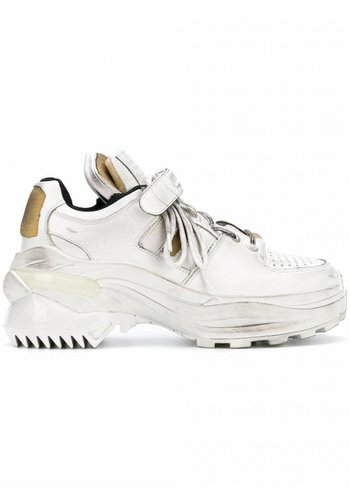 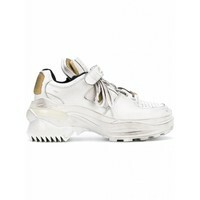 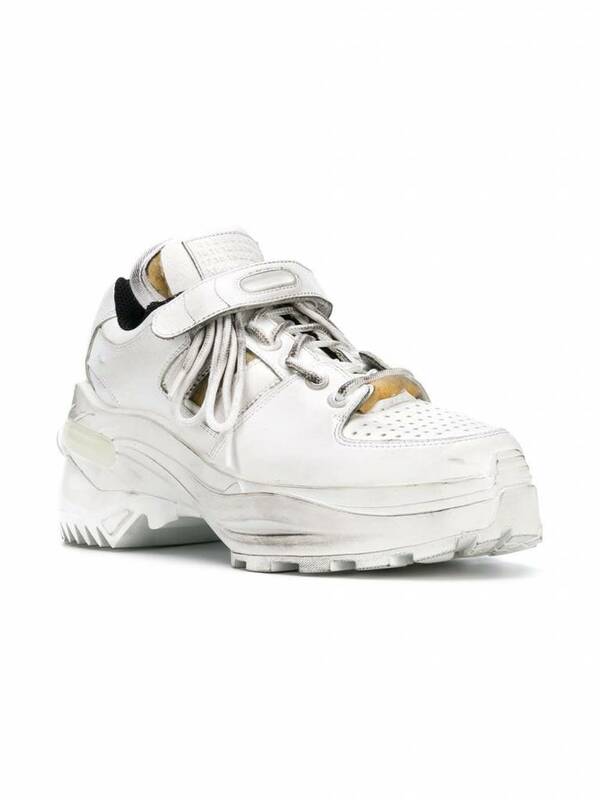 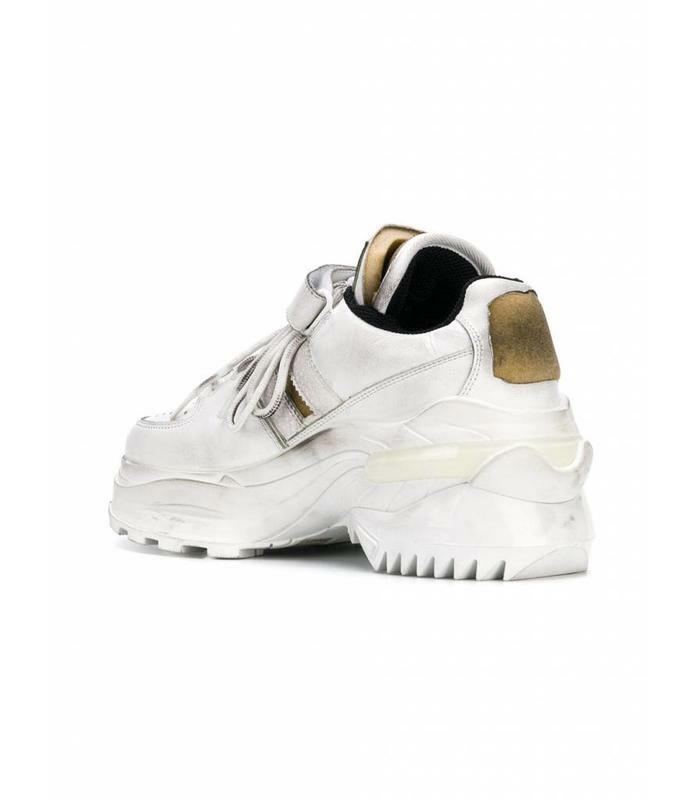 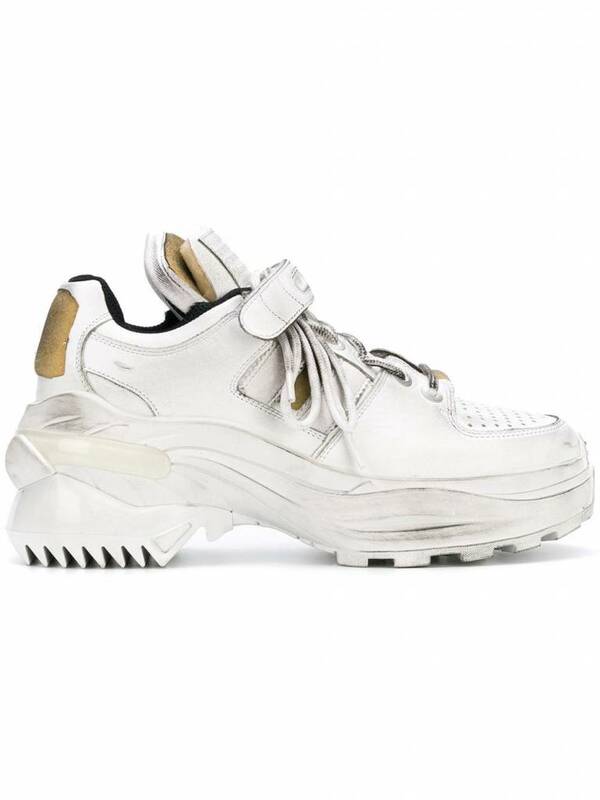 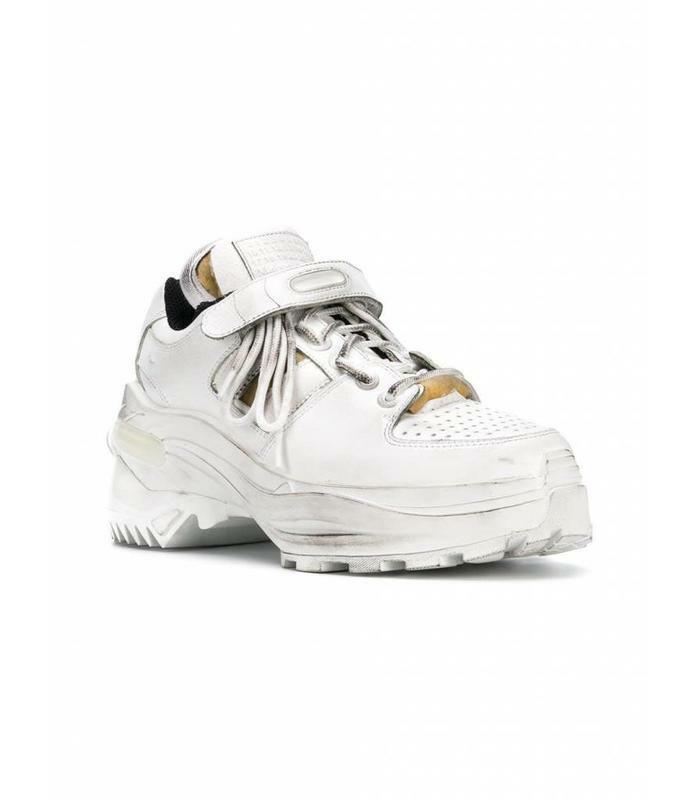 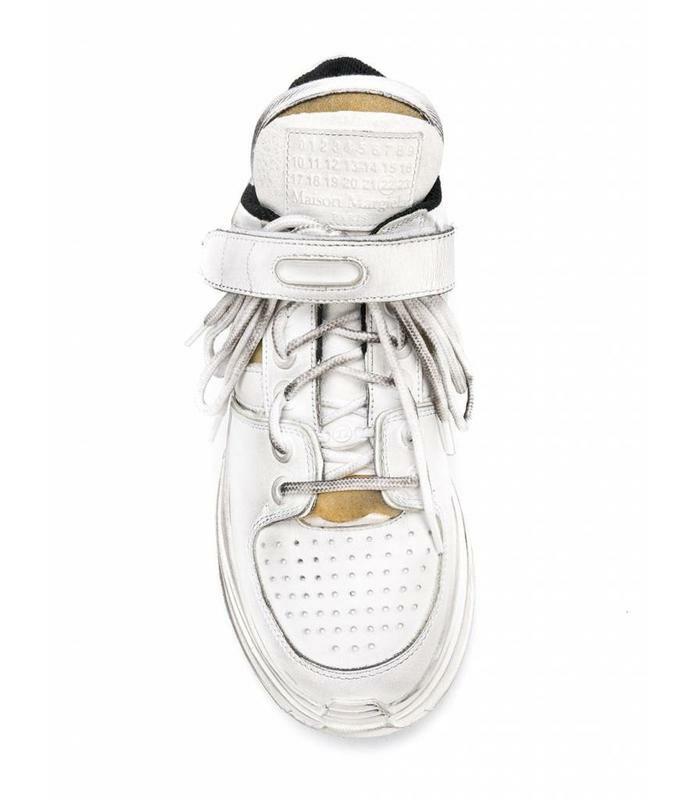 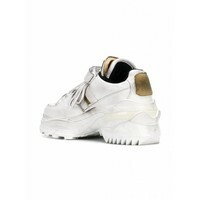 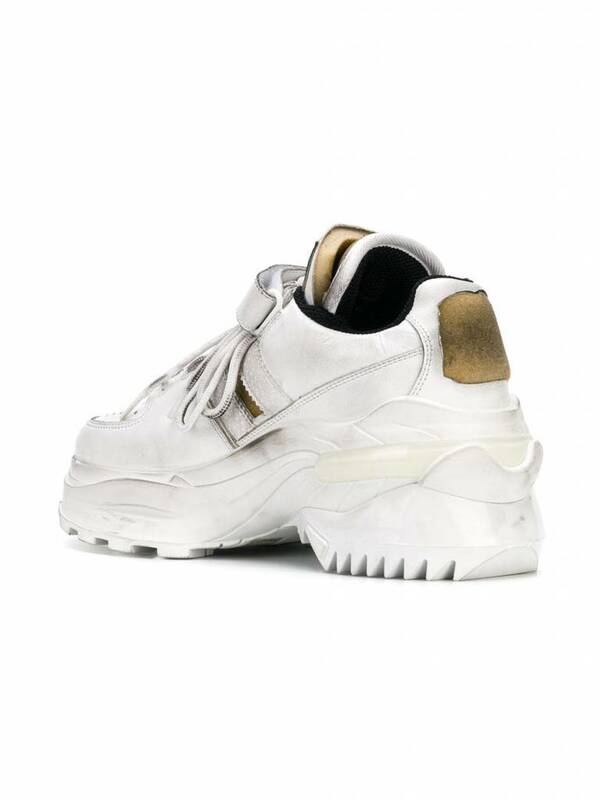 These white touch strap leather sneakers from Maison Margiela feature a round toe, a perforated detail, a lace-up front fastening, a contrasting heel counter and a ridged rubber sole.